Lying just above Scotland and halfway between Noway and Iceland is the archipelago of the Faroe Islands. Its remoteness and the fact that it is spread across 18 tiny, rugged islands means it hasn’t been visited by Google Street View, but now the residents have come up with their own mapping solution: strapping cameras to the backs of sheep. The SheepView360 concept came from Durita Dahl Andreassen of Visit Faroe Islands, who had the sheep harness built by a fellow islander. 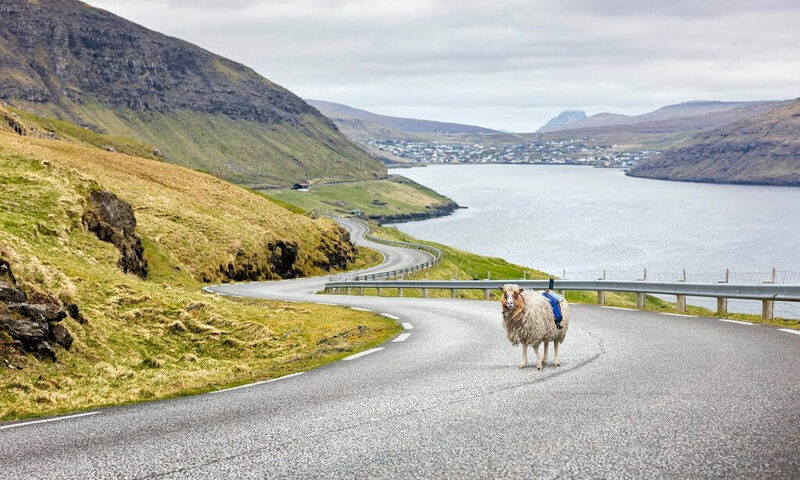 With the animals able to easily traverse the archipelago's rugged terrain and the fact they outnumber humans by around 2 to 1 (the Faroe Islands have a population of roughly 80,000 sheep and 48,700 humans), they seemed the perfect replacement for Google’s Street cars. Five sheep were fitted with the harness, which carries a 360-degree camera (possibly a Ricoh Theta), an iPhone for sending the images, and an extra battery and solar panels to extend the camera’s two-hour lifespan. Pictures are taken once every minute and Andreassen uploads them to Street View. She assures people that the sheep don’t seem to mind being used in this way. While the sheep appear to be doing a good job of capturing the beautiful islands, the project's ultimate goal is to convince Google to come to the area and finish the mapping. Visit Faroe Islands have launched a petition and started the #wewantgooglestreetview hashtag to draw more attention to the case. Google wouldn’t give a comment, but it did say that anyone is welcome to create their own street view experience and apply to borrow its camera equipment - though it’s unclear how the company would feel about it being strapped to the back of a sheep.